One line in and I’m already hooked. The wonder and imagination of childhood is something so amazing that I can’t help but be drawn to a story that celebrates young minds filled with questions and ideas and creative thoughts. 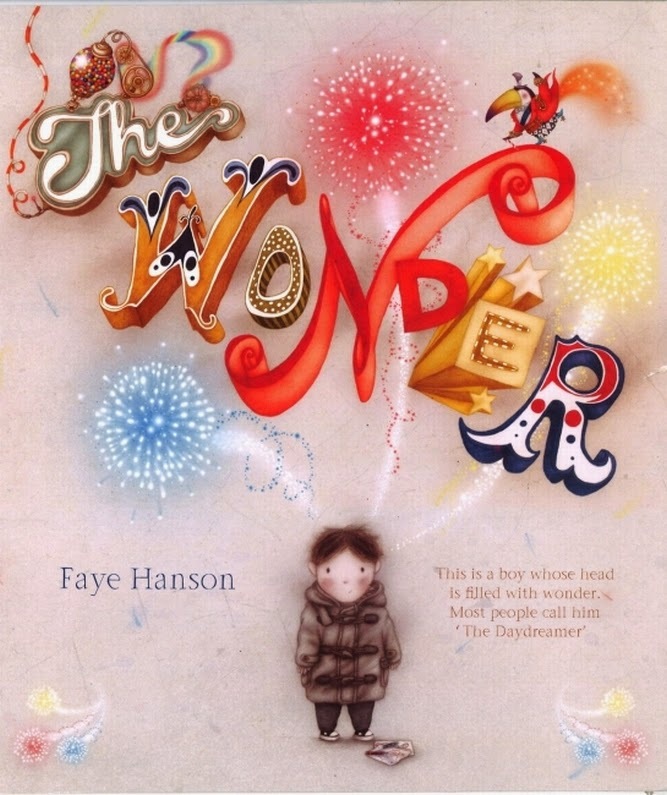 The Wonder is a truly stunning picture book by author/illustrator Faye Hanson. A young boy with a head filled with questions and creativity finds that he constantly being told to stop daydreaming and pay more attention until a wonderful teacher gives him a blank piece of paper and invites him to use his imagination. I was a little sad that out of the three teachers mentioned in the book (science teacher, form teacher and art teacher), it was only the art teacher who encouraged the boy to be creative, an unfortunate stereotype as there is so much creativity needed in other subjects as well, including maths and science. Still, the overall message of this book is that children’s imaginations are ready to overflow with ideas when given the opportunity, which is very true and something that we all too often need to be reminded about. The illustrations are just spectacular, with the sepia tones of the early pages becoming stunningly colourful as the young boy’s imagination takes flight. This is not only represented by the vivid colours of the illustrations, but also in his imaginative solutions to his many questions. I love the concept that clouds are made when ‘cloud-makers putter out candyfloss dreams’. The Wonder is a picture book to treasure and certainly one that will be finding a permanent home on my bookshelf.